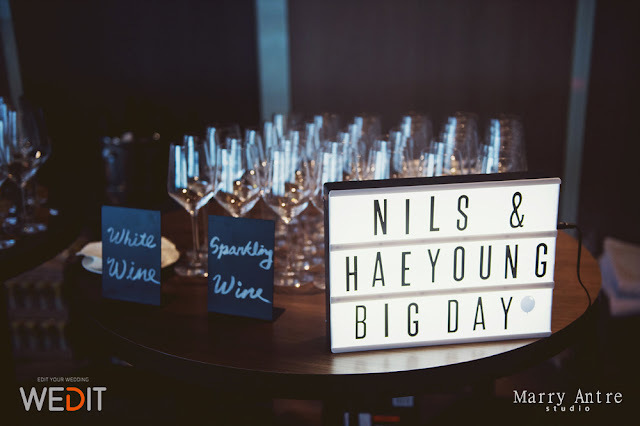 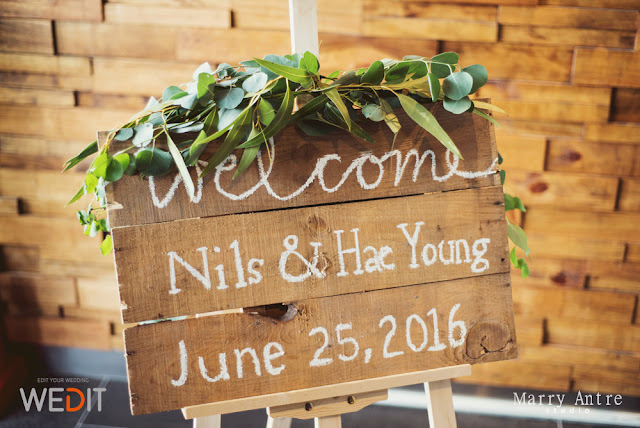 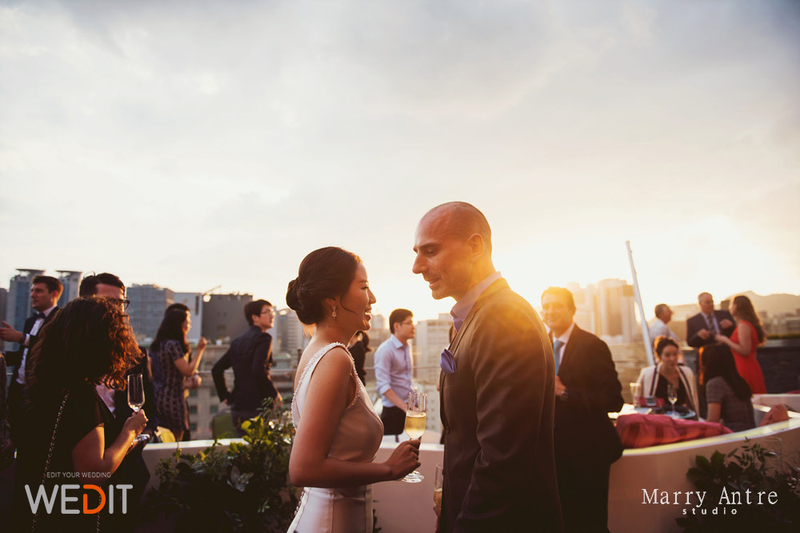 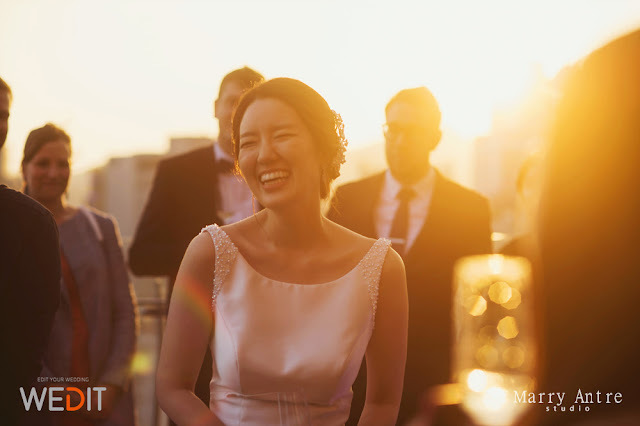 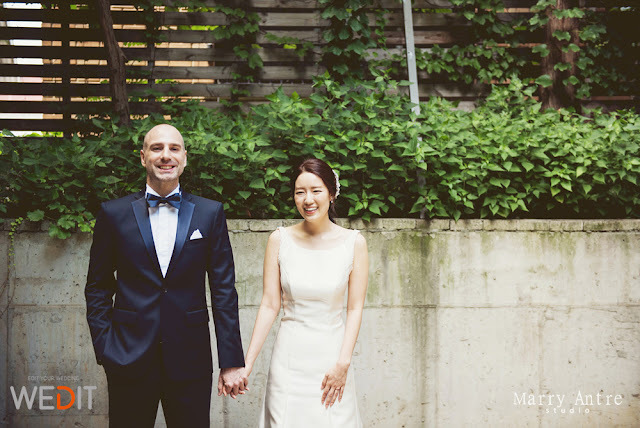 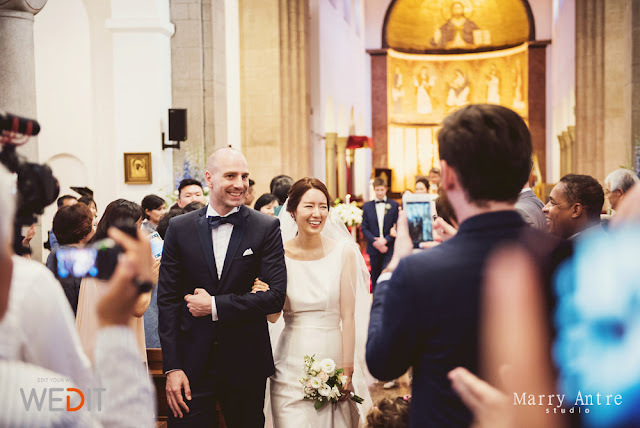 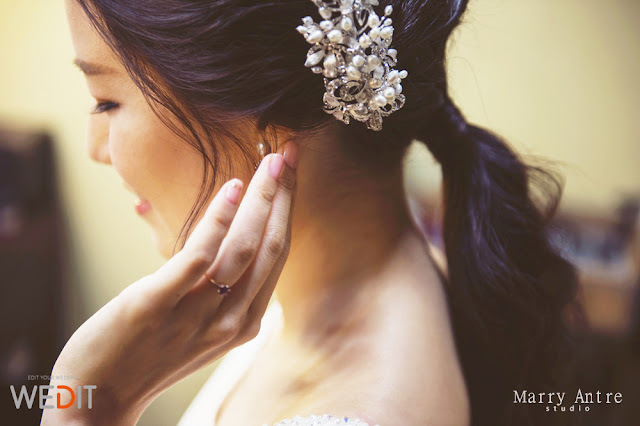 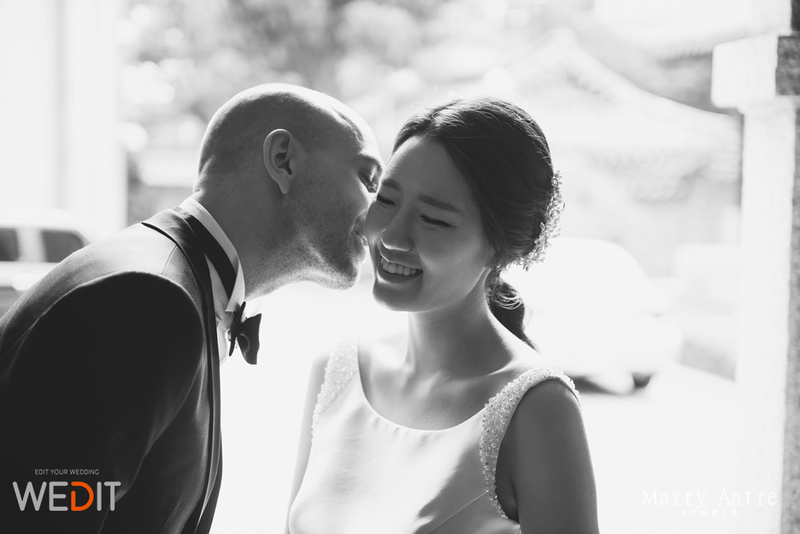 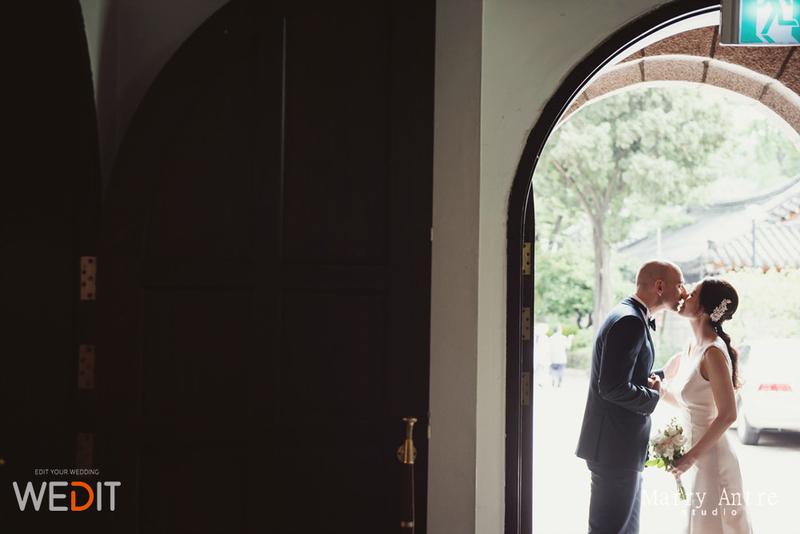 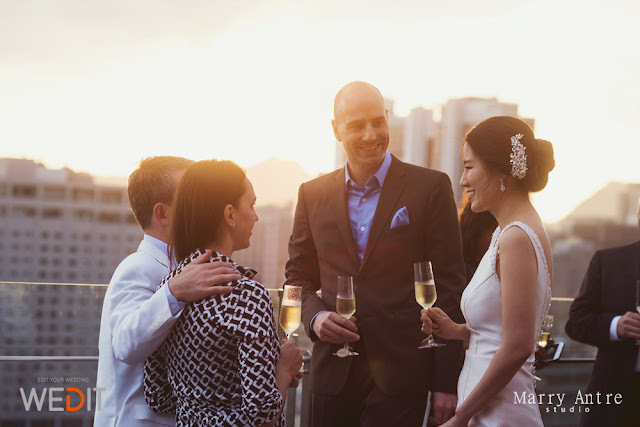 Nils and Haeyoung, a beautiful stylish couple who currently living in Shanghai, China, asked Wedit to prepare the wedding in Seoul Korea as the bride Haeyoung wanted to have a wedding with their family at her birthplace. 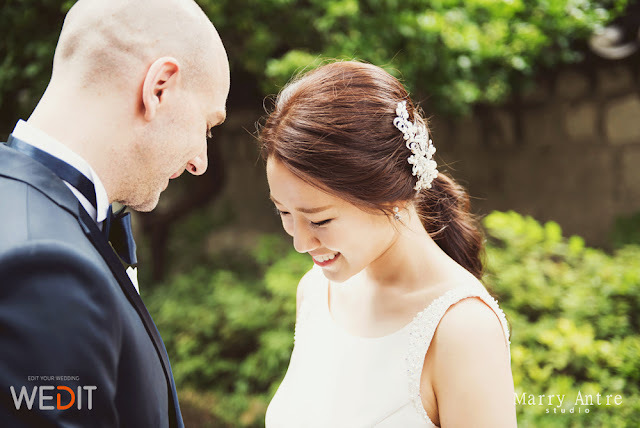 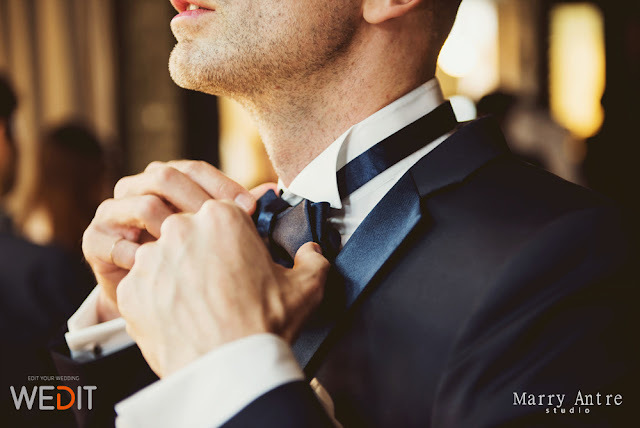 The groom Nils, a German automobile designer, through several concept discussions using Kakaotalk(mobile messenger app), requested that their wedding theme to be "Nothing more, nothing less" which represents their aesthetic standards. 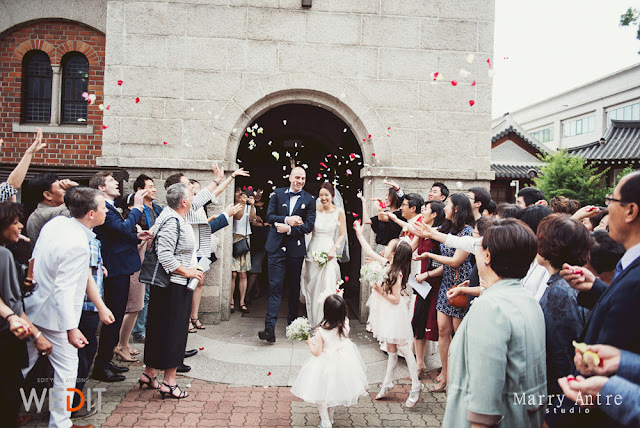 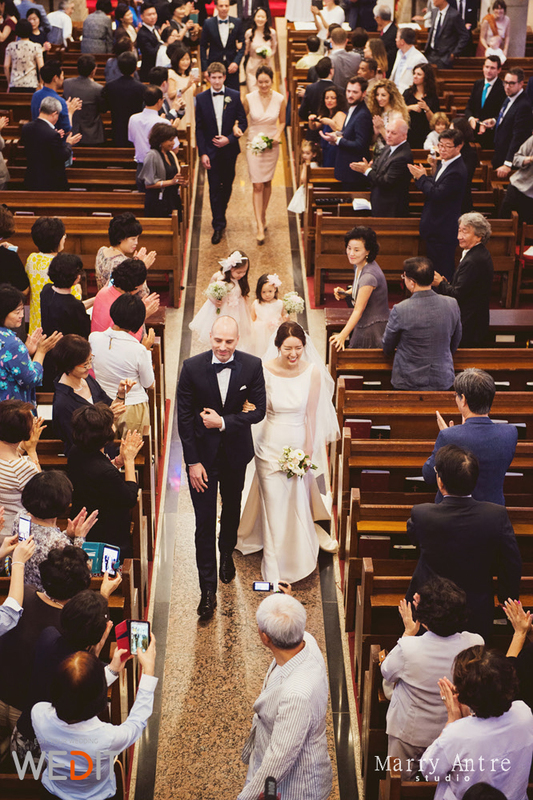 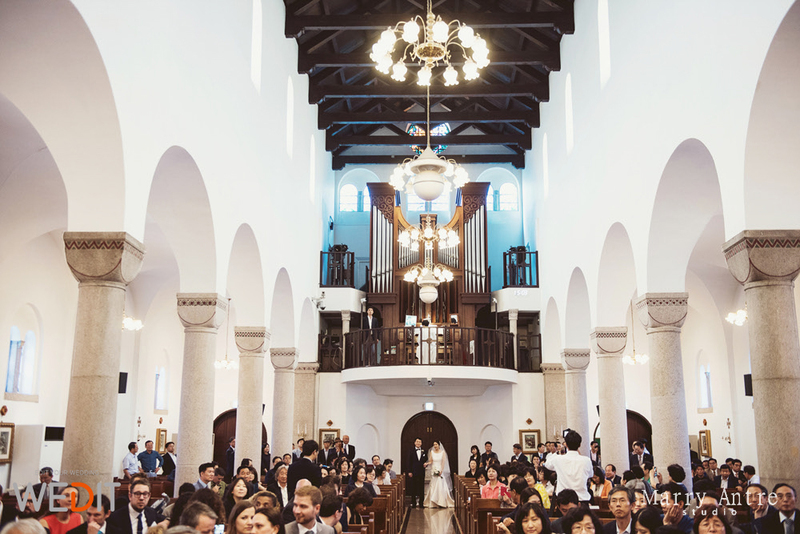 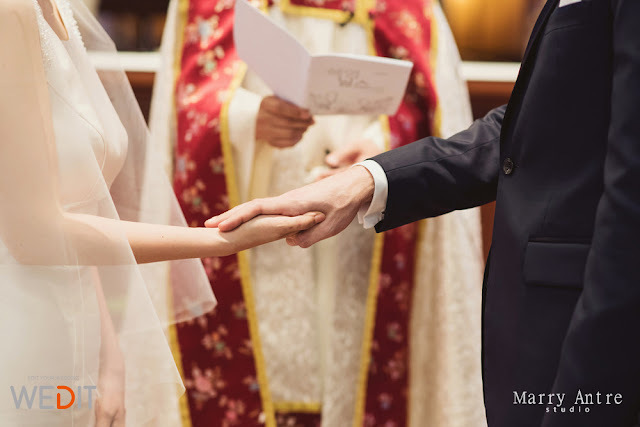 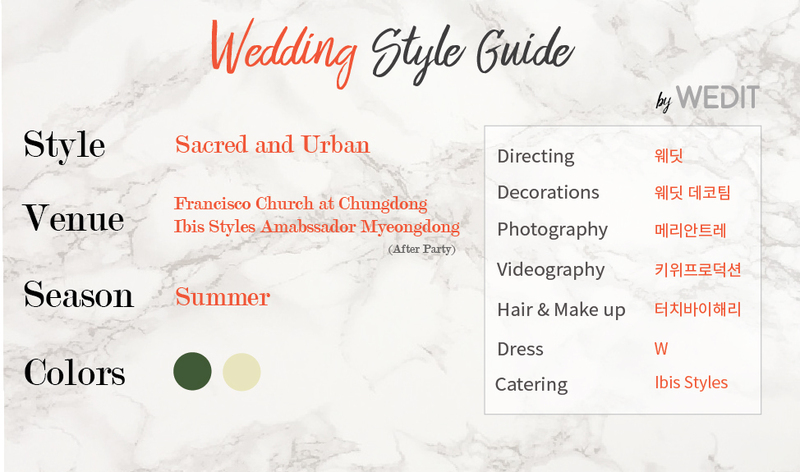 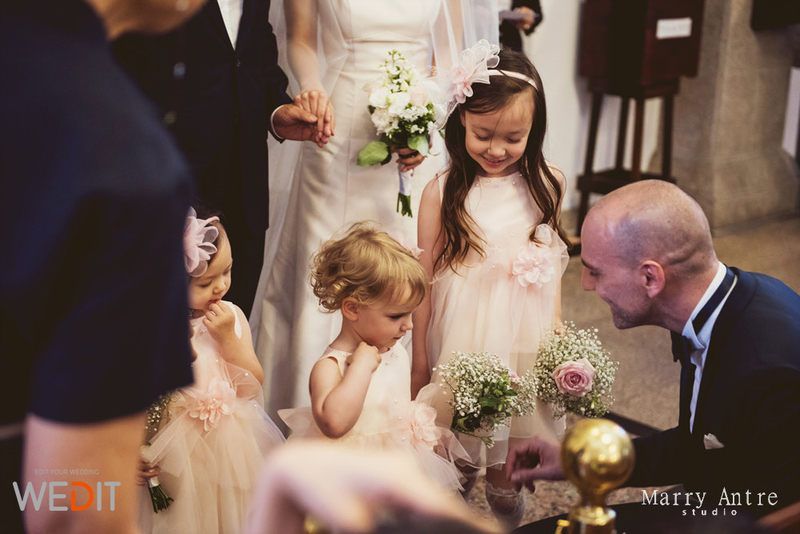 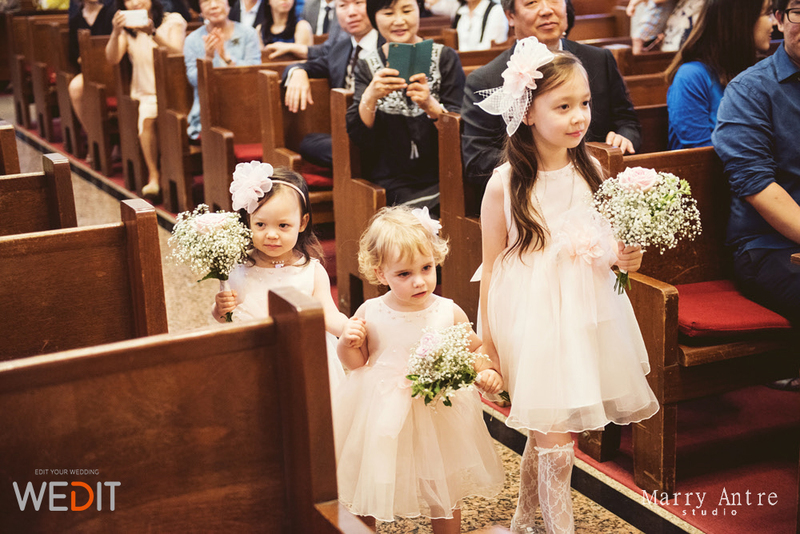 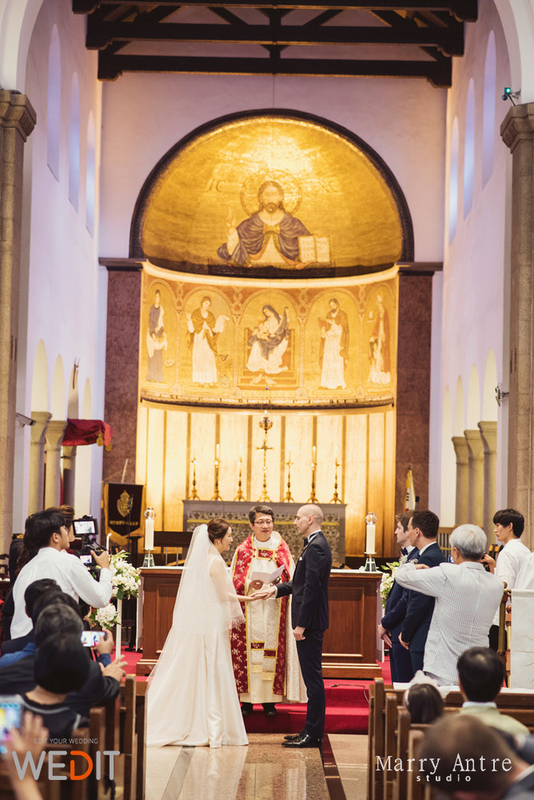 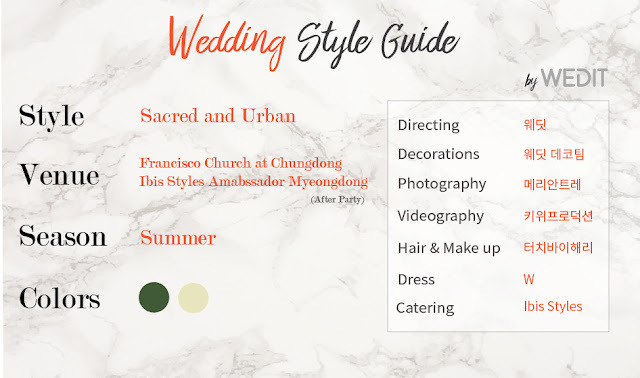 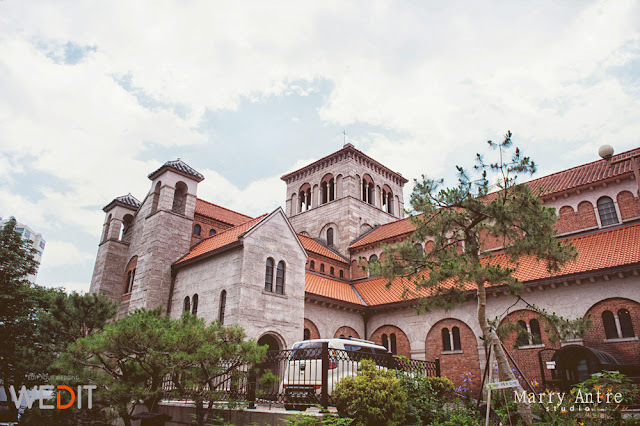 After done makeup and hair, they moved to the wedding ceremony place called Chungdong Francisco church located in Myeongdong, Seoul. 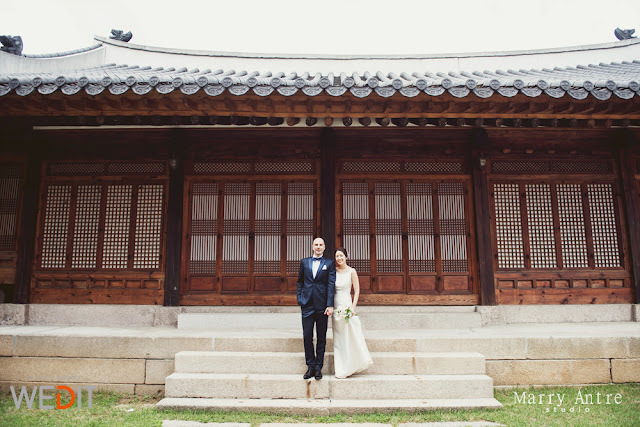 The exterior of ceremony place itself was beautiful enough for the wedding in Summer and also has a Korean traditional house good for the photos to be taken. 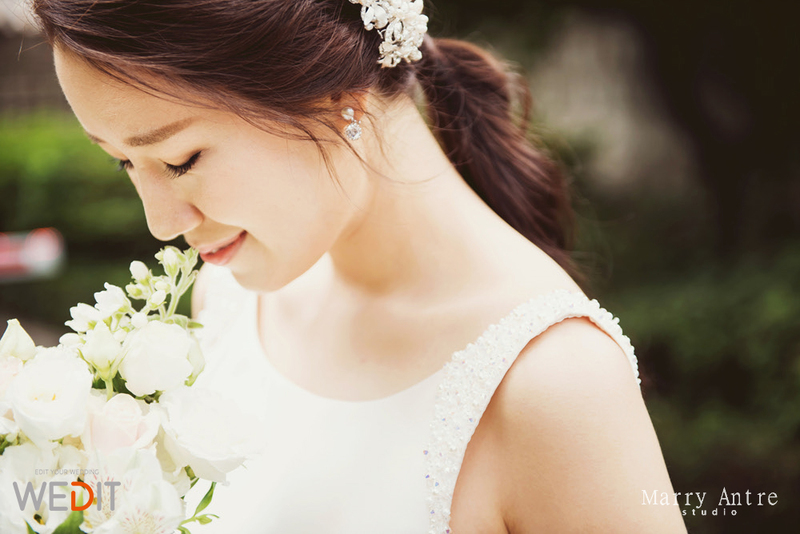 After the pre-wedding shoot, the sacred wedding has taken place. 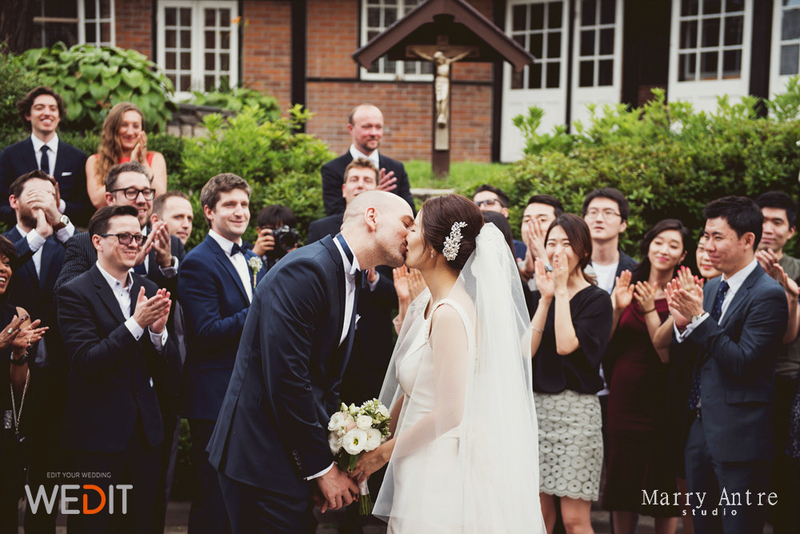 Friends from Germany, France, Shanghai and Korea came to celebrate their big day. 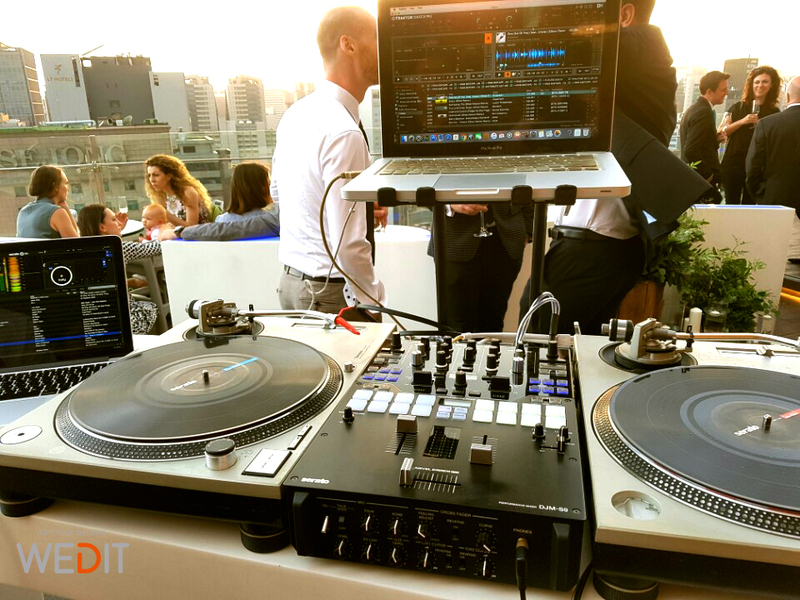 Now the after party begins! 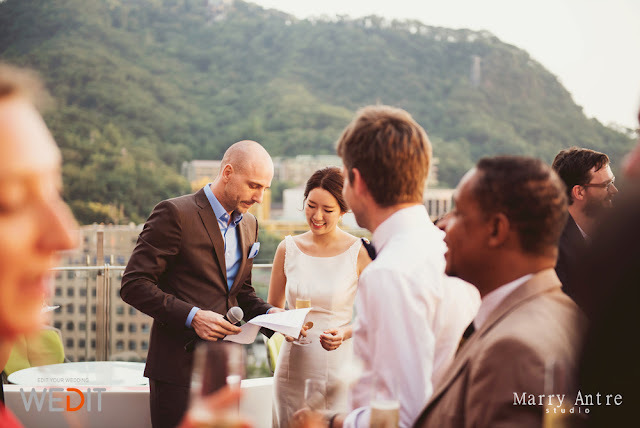 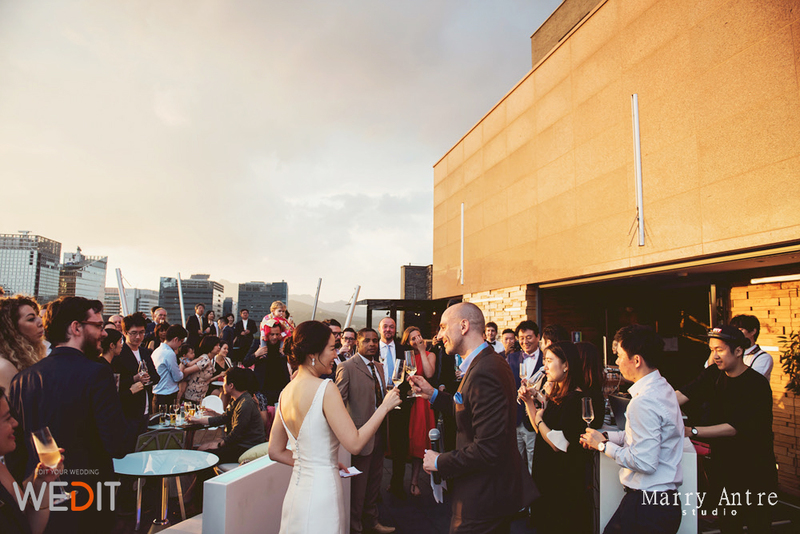 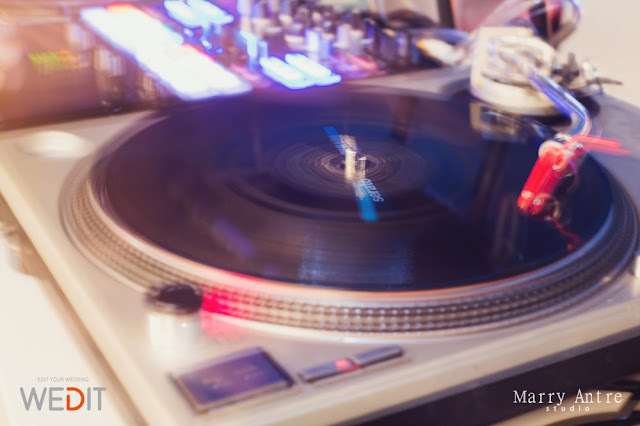 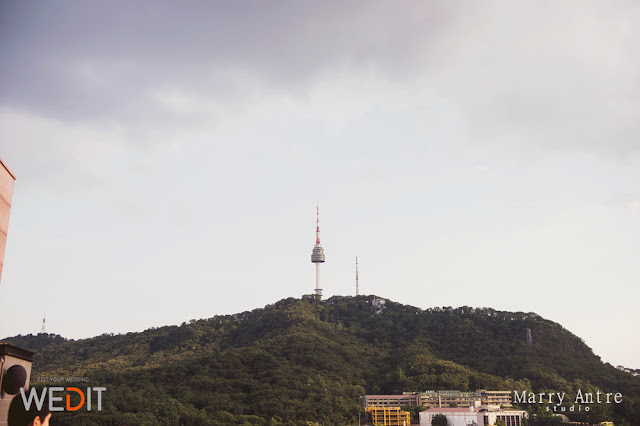 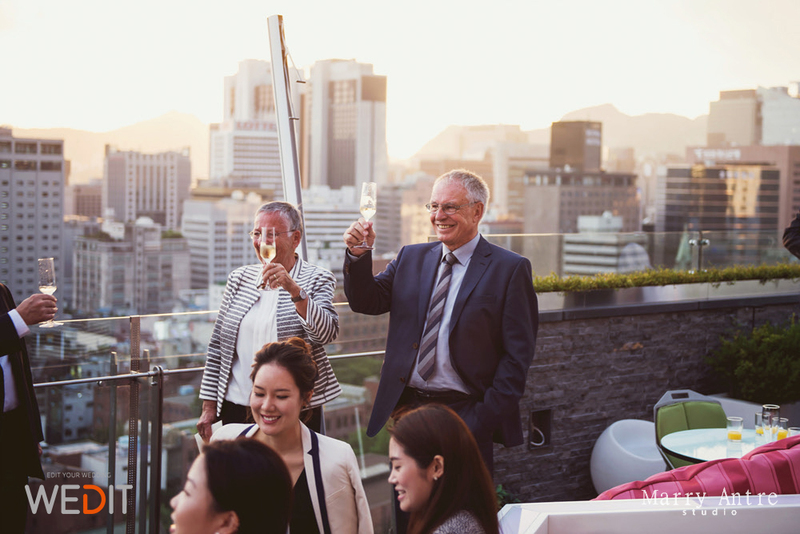 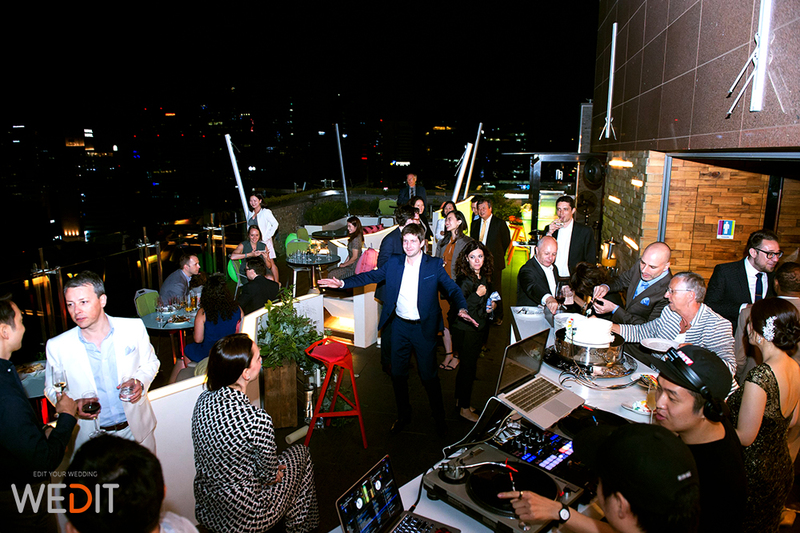 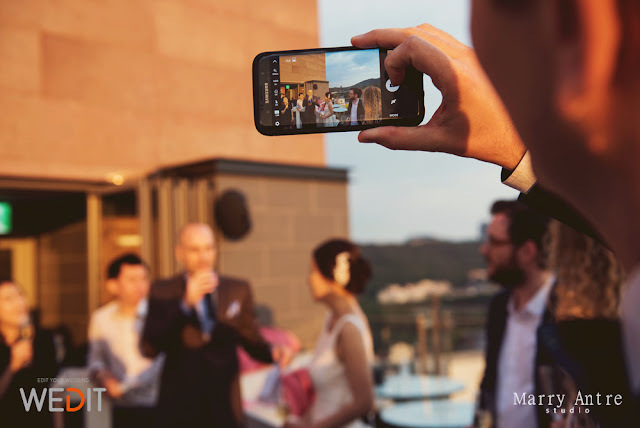 Nils and Haeyoung had chosen the rooftop venue, the Ibis Styles Ambassador hotel in Myeongdong which was selected as must-visit rooftop bar in Seoul, for their foreign friends to see the whole landscape of Seoul as well as the city's night view. 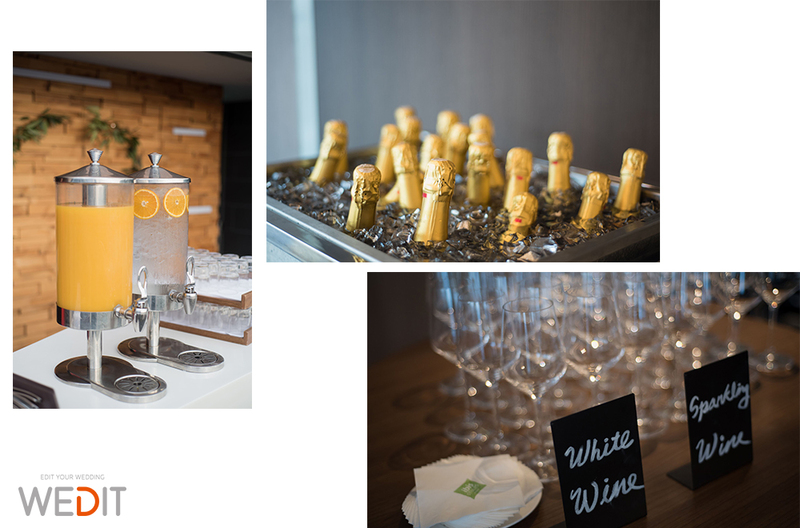 Wines, Champagnes, spirits and cocktails were prepared for the crazy booze-up! 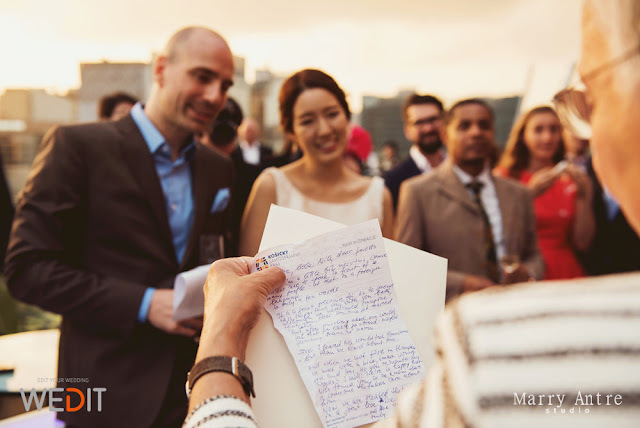 The groom's mother who had a long trip from Germany to Korea, prepared a long heart touching letters. 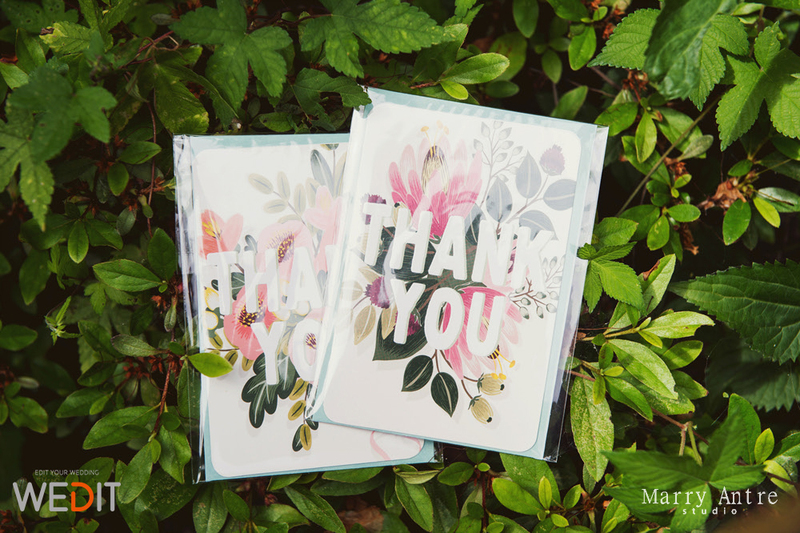 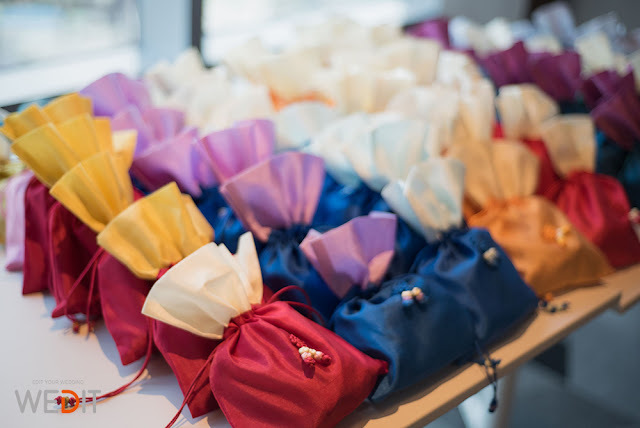 The lovely couple had prepared gifts made with Korean traditional small pouch for the guests which were filled with hangover pills, band-aids and pain killers. 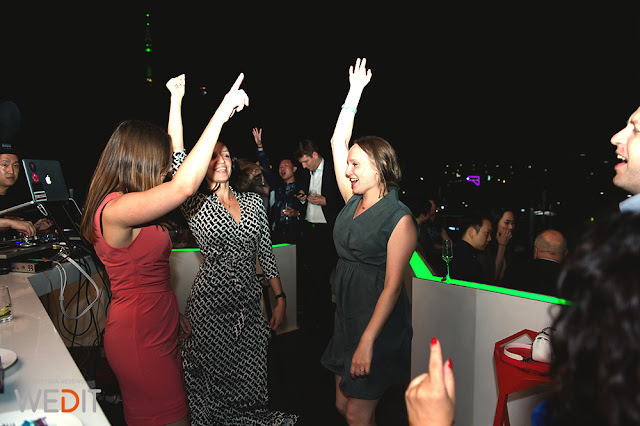 Now it's the real party time! 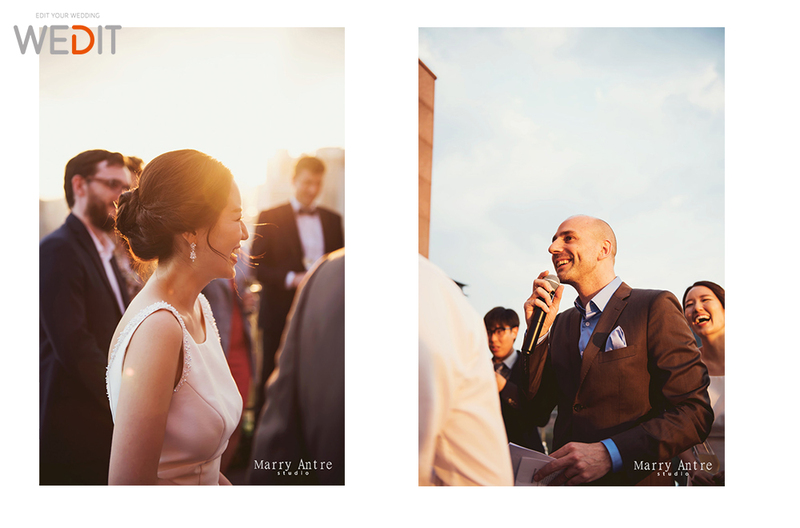 Their wedding party was "officially" ended at 1:00 am the next day but we heard the party lasted until 4 am at Itaewon. We have more wonderful wedding venues and vendors on our website.